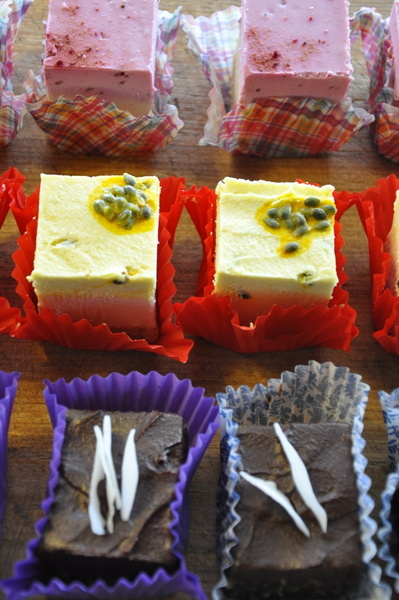 In the Cafe: Delicious raw, vegan, organic cheesecakes are back in stock! Exclusive to the Co-op Cafe. These cakes really are incredible. At Harvest Fest on the weekend we had several people coming back for seconds! Hand made by one of our members right here in Canberra using high quality unprocessed ingredients. In the Shop: Brand new dairy-free ice cream! Get excited! We know it’s getting cold here in Canberra, but CocoLuscious organic dairy-free ice cream is definitely worth being a little cold for. It’s also great served as an accompaniment to some sort of hot pudding. Lots of fantastic flavours are on offer in the Shop including ‘Chai’, ‘Peppermint Choc Chip’, and ‘Raspberry’. For us, it feels great to support a QLD-based Vegan organic food company and we hope you will feel just as good if you buy their products!